When it comes to achieving optimal performance and function, analog design is difficult to get right. According to Semiconductor Engineering, analog content causes the most test and chip failures. Additionally, a Cadence report shows that 95 percent of field failures come from analog elements in the design. As more designs go digital, analog becomes increasingly crucial to enhance better user experience in the chip interface. This means the standards for reliability also increase—adding more stress to quality and performance. It’s clear companies need the right resources to compete in today’s electronic market. But current tools are falling short, which means the race to accelerate innovation is still largely dependent on top talent. For years, leading organizations have looked for the best analog design engineers to do everything from design to testing. The result? A team of engineers bearing all the challenges alone—and the pressure is starting to rise. That leaves companies scrambling for talent and quick fixes to put out fires. Why is this happening? And how do we approach this strategically, given the talent shortage and market pressure? 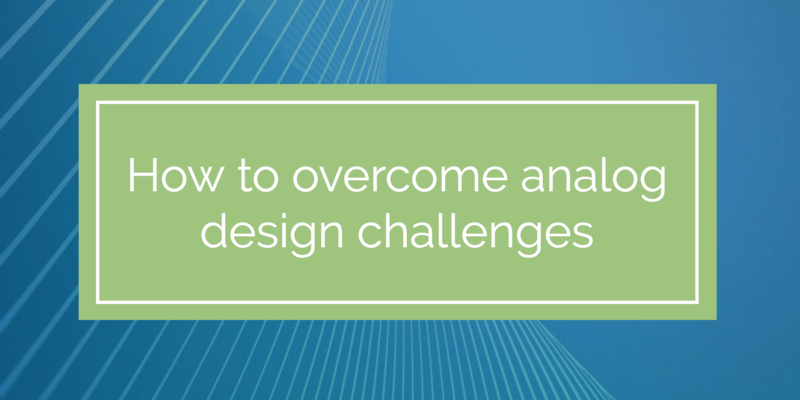 To move in the right direction and find solutions, you first need to get a handle on the challenges in the analog design space now. Let’s unpack some of these challenges and examine some sustainable solutions to overcome them. Does an analog device need to last three years? Or 10 years? There’s bound to be a requirement for a device’s lifetime, but the chip aging process is hard to fully predict. Analog deals with higher temperature, voltage swings, and electric currents, which means design engineers have to manage thermal stress. When the standards for longevity are high and aging models are unpredictable, engineers have to manage all the variables well. As a result, they often over-design chips to meet needs for reliable operation. This puts more burden on analog design teams, who already have more than enough on their plates. Optimal analog design also relies on a bigger set of design specifications. Gain, bandwidth, signal distortion, and noise sensitivities all affect performance. And things get more sophisticated as the number of measurement types increase. Success depends on the experience and knowledge of the analog designer, and their ability to choose the right set of parameters to optimize. This makes the analog design process highly iterative and time-consuming. An analog engineer goes through many process variations and simulations to measure the impact on chip designs. Even the tiniest difference can change performance and yield. One wrong move can result in chip re-spins, which is a painful process for both the business and the engineering team. In this day and age, efficiency is the name of the game for any tech and chip company. Competitors need to keep an eye on cost and time to fit more into a design cycle and rush into the market window. Efforts to optimize analog takes a high degree of experience and precision from designers to pass the project on-time. In the past few years, the level of automation for digital verification has grown tremendously. Digital design teams can perform regressions and track progress every day. But the same can’t be said for analog design. Many analog engineers still use legacy methods to manage regressions. Instead of a simple pass/fail test, engineers resort to “eyeballing” waveforms to make decisions. This can get complicated, time-consuming, and expensive if not done right. With complex variables on the line, companies rely on experienced design teams to build and test dependable analog devices. Looking for the right resources can seem like a tall order. Without effective regression analysis and seamless processes, this task isn’t simple. Semiconductor companies need dependable help to power their design teams and ensure quality when it counts. So what’s the best solution? The best way to add value throughout the design process is by having a dedicated team of experts working with you from the start. There are many benefits to outsourcing your testing and simulation processes to subject matter experts (SMEs). An outsourced team can focus on finding and fixing bugs to deliver “first-pass” silicon, without clients having to report flaws to you. All the regression and repair work is handed to experts, so your design team can focus on the next innovative device. Regression engineers can mitigate unexpected changes while analog engineers are still customer-engaged. Your company doesn’t need to recruit or maintain an internal stable of design verification (DV) engineers. Working with an outsourced team helps facilitate better client communication and ultimately reduce last-minute situations. Let the regression and simulation experts tackle the testing process so design engineers can focus on what they do best. Turning to a workforce solutions provider can help you maximize team productivity and deliver quality designs on-time. At Talent 101, we offer parallel regression services based on your needs. Our industry knowledge and diverse range of disciplines help us support chip and electronic companies all over the world to meet goals and accelerate business success. Ready to maximize quality and design success without stress? Download a copy of our new eBook, How to Maximize Productivity with Analog Regression! 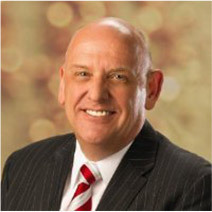 In 2010, Jack and Janet Trompert started Talent 101 with a clear new vision on how to deliver talent to the marketplace. To work at Talent 101 is to be a part of something creative and big. From our modest roots as an ambitious startup, to becoming a global workforce solution provider to the world’s most recognized semiconductor companies, our growth and momentum owes a lot to our strong company culture of customer service, can do attitude, sense of urgency and always focus on the client and talent. Talent 101 has an open door policy, please email us at info@talent-101.com or call us at 972-503-2101 and ask to speak to one of our Talent Resource Managers.